Austin Kleon here, filling in for Joe. A few smart publishers online don't settle for mere images when it comes to showing off their book designs. The comics publisher Fantagraphics often posts videos on their Flickr stream of someone flipping through their new releases. (Examples: Michael Kupperman's Tales Designed to Thrizzle, The Sweetly Diabolic Art of Jim Flora, Tony Millionaire's Drinky Crow's Maakies Treasury.) In the age of YouTube, iPhone video, and cheap Flip camcorders, I'm surprised this isn't done more often. What are some of your favorite book cover designs that aren't done justice in 2-D? I've come to rely more on publisher sites and blogs when sourcing images for the BDR; designers' sites too, and portfolios on sites like design:related. But very often it does come down to picking the image that's least bad. I either need a budget or more review copies. You're right, that's a good idea. I'm going to pass it along to some friends in marketing at a couple of publishing houses. I'm not sure who designed it, but the fantastic jacket for A Crack in the Edge of the World by Simon Winchester--an awe-inspiring unfolding thing that was far better than the book it contained. The big one for me is the secret Chris Ware artwork on the jacket of the hardcover edition of Murakami's The Wind-Up Bird Chronicle. 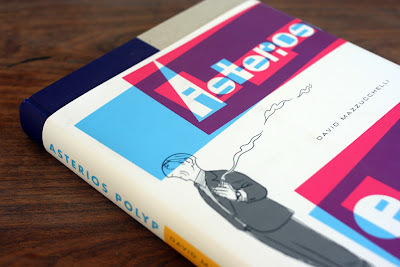 I love that Chip Kidd and Chris Ware put together a book design that you can only appreciate to its fullest in person! Amazon allows publishers to submit either primary or additional images as 3D views, as long as they are on a white background; see here, here or here, for example. As our publisher's sales rep to Amazon, I generally recommend the creation of a 3D image or three-quarter photograph, especially on exceptionally thick books (shows the buyer they're getting a big chunky book for the money) and box sets. Showing off exceptional design is another wonderful reason to do so, in the primary image or in extra images. @John I had no idea! Very cool. 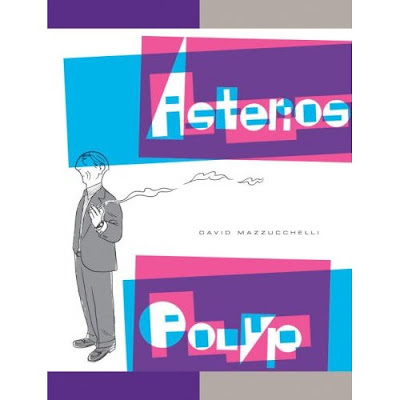 I hate to be a spoilsport, but – questions of online representation aside – there's a real, serious lack of practicality in things like the Asterios Polyp jacket. Booksellers hate diecut jackets and bellybands: they get shelfworn overnight and end up getting returned. What could be worse than a beautiful book that gets sent back to the warehouse in tatters? 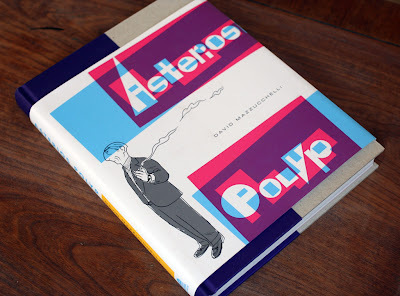 Hyper-elaborate, multi-layer jackets with diecuts over two-color stamped cases like the Chabon are ridiculously expensive, and they don't necessarily motivate buyers in a meaningful way. Yes, they're beautiful: that's inarguable. I'll even admit to a twinge of jealousy that I don't get to do anything nearly so intricate, but I (for one) am answerable to my firm's bottom line, and things like Jordan Crane's design are just too extravagant for real publishers who need to turn at least a meager profit. I'd be more impressed to see simpler wrappers that still catch the eye and heart.